To ask C. Leigh Purtill questions, please sign up. It hasn't been published yet (I hope I hope I hope) but I have already adapted it as an original ballet for my nonprofit ballet company. We're performing in La Canada Flintridge, which is very close to Los Angeles and Pasadena. 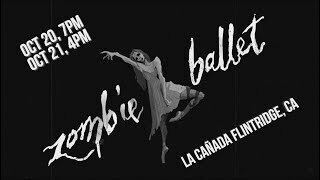 The show is called "Sweet Sorrow, A Zombie Ballet" and is on October 20 at 7PM and October 21 at 4PM (the latter is followed by Afterlife after party). Slow to begin, this family centered drama was lushly written and evocative of its historical settings. Thanks to Netgalley for the arc to review. I must be in the minority when I read the other reviews here. I didn't care for any of the characters! I feel bad saying that because I know it was a fun read for a lot of other people but it was hard to care about the characters. Still it was really I must be in the minority when I read the other reviews here. I didn't care for any of the characters! I feel bad saying that because I know it was a fun read for a lot of other people but it was hard to care about the characters. Still it was really well-written and I admire the author for her talent at crafting a plot. Instead of getting on a plane for college, Berie goes to a commune in the forest with Bay, a charismatic man recruiting for Dice and his "family." Berie was never satisfied with her life, with her mother who wanted her to go to college, with her boyf Instead of getting on a plane for college, Berie goes to a commune in the forest with Bay, a charismatic man recruiting for Dice and his "family." Berie was never satisfied with her life, with her mother who wanted her to go to college, with her boyfriend Isaac, an artist with whom she had attempted small anti-establishment efforts. But Dice and his group truly are anti-establishment. They live on the land, forage for food, scavenge Dumpsters from the "fake world" to bring back to their real world. They make their own soap - and bullets. They create their own medicines - and bombs. They are not just counterculture but anti-culture. Berie (rechristened Harmony) follows Bay because she has fallen for him but she soon learns that there are no couples in the Ash Family, there are no possessions. You either stay for 3 days and leave or you stay forever. There are heavy consequences for broken rules and for attempts to leave. Who doesn't love a book about cults? I was drawn to this title because of that description. It's a fascinating portrait of a girl who is manipulated by a cult. So well-written, the descriptions of the sky and the animals so vivid -I love how Harmony frames things that are truly ugly into things of beauty. We see how this naive young woman sees the world in such a different way than most of us do because she is desperate to not be like her mother and the rest of the mundane world. The ending was a little unsatisfactory because it felt incomplete but otherwise I thought this was a compelling story. We’d love your help. Let us know what’s wrong with this preview of The Ash Family by Molly Dektar. In the not-too-distant future, there are humans and alien-human hybrids. There is also a deadly virus that is killing people. Harper, a teenager who lives by some very strict rules set down by her worried mother, is our narrator. Through her eyes we In the not-too-distant future, there are humans and alien-human hybrids. There is also a deadly virus that is killing people. Harper, a teenager who lives by some very strict rules set down by her worried mother, is our narrator. Through her eyes we see what happens when the CDC locks down her town after the virus hits them. I liked the character of Harper - a typical teen who wants to be independent and an adult already - but I felt like her recklessness wasn't smart. In a world like this, I would imagine the teens would be old beyond their years, perhaps a bit wiser. In 1971, a time when women were navigating the waters of independence apart from their children and husbands, Ginny Richardson -wife of attorney Ab and mother to son, Peyton - learns that the institution where her disabled daughter Lucy was committed In 1971, a time when women were navigating the waters of independence apart from their children and husbands, Ginny Richardson -wife of attorney Ab and mother to son, Peyton - learns that the institution where her disabled daughter Lucy was committed is being accused of abuse and neglect. Ginny and her best friend Marsha- a woman who, in the parlance of the day, is "loose", as well as unmarried and possibly pregnant - take off for the institution to sign the child out for a long weekend. This is the first time Ginny has visited her daughter with Down syndrome and she is horrified to see the conditions. Her feelings of maternal neglect for two years are made even greater when she realizes her daughter is a beautiful, sweet child who has likely been subject to physical abuse. She and Marsha (and Peyton) abscond with the child to Florida, at first unaware that the little girl is a ward of the state of Massachusetts and that, thanks to her husband's controlling father, Ginny is not legally Lucy's parent. I absolutely loved this book. Of course we are meant to sympathize with Ginny and her innocent daughter, and we do, but we also feel for her husband, who was himself bullied by his father into forgoing the life he truly wanted in favor of following in his father's footsteps. I appreciated the nuance in character development and the authenticity of details for the time period (for instance, the fear that Ginny has when she uses her husband's charge card for the first time, or when she admits to not knowing much about local news because she spends her time ironing pajamas and so on; Ginny doesn't drive and she doesn't have her own bank account, all things we will take for granted just a couple of decades later). Greenwood does a terrific job with the details for the Sixties and early Seventies; it all feels genuine and real, especially the characters. A story like this (mother kidnaps disabled daughter after being overcome by her maternal love) could easily have been cliche or filled with tropes that would have made me roll my eyes and put it down but it wasn't. It was heartfelt yet heartbreaking. We truly feel for Ginny. And neither does Greenwood shy from the facts about raising a disabled child: Ginny makes it very clear that the kind of money her husband's family has will make it possible for her daughter to have the care she needs while others without her affluence will suffer. The limitations of a child with Down syndrome, as well as the genetic problems like being born with a hole in the heart, are also explored. Life with Lucy will not be easy. Total page-turner! I raced through the first half of this, not sure what I was getting into but happy to follow along. When she was 18, Persephone disappeared one night and was soon discovered dead, strangled and left in the snow. Her younger sister S Total page-turner! I raced through the first half of this, not sure what I was getting into but happy to follow along. When she was 18, Persephone disappeared one night and was soon discovered dead, strangled and left in the snow. Her younger sister Sylvie was devastated because she believed she could have prevented her death. Ben, the boyfriend, is the young son of the influential town mayor, who seemed to be in love with her but was never allowed to be seen with her. Although many considered him a suspect, he was never charged and her murder went unsolved. Cut to many years later, and Sylvie is still torn up about the murder. Her mother has become an alcoholic recluse. 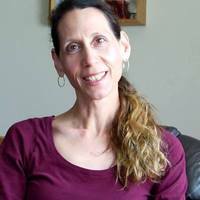 She and Sylvie are estranged until a cancer diagnosis. Sylvie returns home reluctantly and immediately becomes embroiled in the unsolved murder of her sister. We’d love your help. 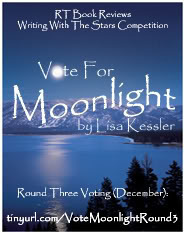 Let us know what’s wrong with this preview of The Winter Sister by Megan Collins. Fascinating novel about life inside a cult (think Waco). I wish I had liked this book more than I did, especially when I saw what great reviews it had gotten. I'm sure my inability to appreciate it is no fault of the author or the book itself but str Fascinating novel about life inside a cult (think Waco). I wish I had liked this book more than I did, especially when I saw what great reviews it had gotten. I'm sure my inability to appreciate it is no fault of the author or the book itself but strictly my own. We’d love your help. Let us know what’s wrong with this preview of After the Fire by Will Hill. I didn't know anything about the podcast when I requested this book from Netgalley so I went into it with fresh eyes. It was a bit confusing so perhaps someone familiar with the story might have an easier time with it. Lia was a fascinating character: I didn't know anything about the podcast when I requested this book from Netgalley so I went into it with fresh eyes. It was a bit confusing so perhaps someone familiar with the story might have an easier time with it. Lia was a fascinating character: independent, intelligent, and curious but also a tad bit unlikeable and I appreciate that the author allowed her to be three-dimensional like that. There were a lot of unusual activities, unusual events that had no explanation. I don't require being spoon fed answers but I did feel like I was constantly flipping back to earlier pages to refresh my memory or re-read. But I'm sure that must have been just my fault. What book would you like to read in November? Mount Holyoke College '88 online book club. Hi, C! Ha, just realized that's a juice brand. We like a lot of the same books/writers. I'm a new author letting people know about my poetry website, www.theskyinsideyou.com, feel free to stop by sometime and happy new year. Thanks for accepting my friend request, C. You seem like an interesting person, as well as an accomplished author, so feel free to tell me more about yourself and perhaps we can grow to become even greater friends. I, myself, am a singer/songwriter/actor who has recently turned author. My 2 top ten recordings were CONCRETE & CLAY (as a singer) and NAVY BLUE (as a writer)...both in the early 1960's. My first novel is an unusual murder mystery entitled "Forbidden Steps". Sherri wrote: "I met the author of "Hot Widow"....let me know what you think about the book...and where did you get that book?" Hi there! Phyllis is a very funny, very interesting and smart woman. I started her memoir - loved the first couple of chapters - but then got distracted (for a year!) and never finished it. :( I know I should. She really is a cool woman. I got the book directly from Phyllis- we did an interview together on a cable access show and then sat next to each other at the Duarte festival. We traded books at the end of the show. Where did you meet her? Did you get her book? I met the author of "Hot Widow"....let me know what you think about the book...and where did you get that book? My, you've been a busy lady C. Leigh! Thanks for making me a friend!